The University of Lynchburg will hold the 2019 Baccalaureate, a worship service to uplift and inspire the graduating class, at 4:30 p.m. Thursday, May 16, in Snidow Chapel. The Rev. 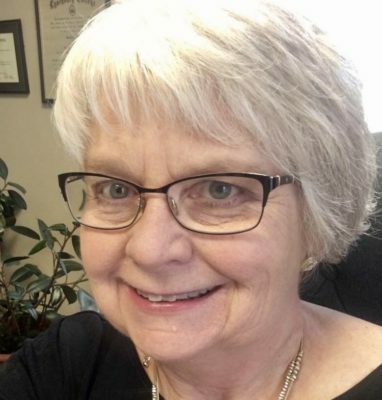 Coretha Loughridge, transitional regional minister for the Christian Church (Disciples of Christ) in Virginia, will be the Baccalaureate speaker. As a lifelong Disciple, she grew up in Pulaski, Virginia, and graduated from Lynchburg College with a degree in sociology and religious studies. Loughridge attended Vanderbilt Divinity School, where she was vice president of the student body. After her ordination, she ministered to congregations in Missouri and Virginia before accepting area and regional assignments for the church. She and her husband, Johnny, a retired Disciples minister, have three children and six grandchildren. Baccalaureate also will include the awarding of honorary degrees to several individuals, including. Kathrine Switzer, a world-renowned runner known for breaking gender barriers and inspiring countless women to run, will receive the honorary Doctor of Humane Letters. She also will be the Commencement speaker for the undergraduate ceremony on Saturday, May 18. Dr. Thomas A. Walker ’53, a retired medical doctor and former member of the University’s Board of Trustees, will receive the honorary Doctor of Science. The Rev. Dr. H. Benjamin Bohren Jr. ’68, a longtime Christian Church (Disciples of Christ) minister who advises social justice ministries, will receive the honorary Doctor of Divinity. Rebecca Burnette DuFour ’82 and Dr. Richard P. DuFour will receive posthumous Doctor of Education degrees. Both were highly regarded educators. When Rebecca DuFour died in 2018, she was serving on the University’s Board of Trustees. Members of the DuFour family will be present to accept the degrees. For a full schedule of Commencement events, visit www.lynchburg.edu/about/commencement/schedule.